Shaughnessy Appliance Service Ltd. provides in-shop services in both Saskatoon and Regina. We provide Cary in service for Microwaves, Fridges, Ranges, Dishwashers , Washers, Dryers , Ice makers. We have full shop facilities with certified techs in house! Our Service vehicles get noticed, Listen to this caller. Our experienced appliance technicians will come out to your home to repair, service, or replace all appliances of any make and model. We have the parts you need to get things up and running again. Shaughnessy Appliance Service Ltd. works with gas and electric appliances, repairing bad connections to restore power to the appliance. If your washer, dryer, or dishwasher isn’t draining correctly, we look for blockages and remove them. For refrigerators that aren’t keeping your food cold or stoves and ovens that aren’t heating it up properly, we have the tools and expertise to get to the root of the problem quickly. From minor fixes to major overhauls, no appliance repair is too difficult for our experienced staff. Our rapid response times will alleviate the inconvenience of a broken appliance as quickly as possible. If your unit needs to be replaced, we will go over all the product options we have in detail to find the item that fits your home and your budget. Shaughnessy Appliance Service Ltd. also offers appliances and replacement parts in our shop. We have several new washers, dryers, refrigerators, stoves, ovens, and more in our showroom. We also have a large stock of replacement parts. Whether you know exactly what you need or you want to discuss the problem with our team to find the right part, we can assist you. You can also schedule service appointments in person in our shop. All of our new appliance orders have convenient delivery options available. 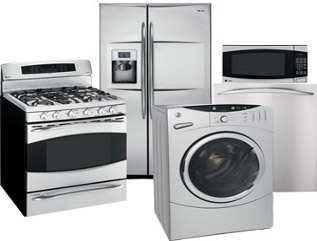 Contact us or stop in today for the most reliable appliance services in Saskatoon and Regina.